Navigating our delicious and convoluted food world, one bite at a time. Late at night when it’s super still and quiet, even in my apartment in New York at 1 in the morning I can hear everything, there is nothing more frustrating and impossible to sleep to than the drip, drip, drip of a leaky faucet. I just moved in a few weeks ago and every night I would listen to my shower head drip (from such a high distance on a ceramic tube the noise is pretty substantial), think of it in some psycho thriller movie where the main character is driven to insanity by this persistent noise. I’d get out of bed and squeeeeeeze both hot & cold handles tight as I could until it felt like I might crack a wrist turning so hard. I’d go back to bed and sure enough:drip, drip, drip. Just more of a delay in between drips this time. Last week I decided to get more of a visual on how much potable water I was actually wasting in this way. With the nozzles turned as tight as I could I put a pitcher under the shower head and timed the first few drips. It was dripping at an extremely slow rate of about one drip every 45 seconds. Over the course of 24 hours I let it accumulate in my bucket and then measured it out and I had just shy of a 1/4 cup (evaporative loss, transfer loss and splashing so I’m rounding it to 1/4 for ease). 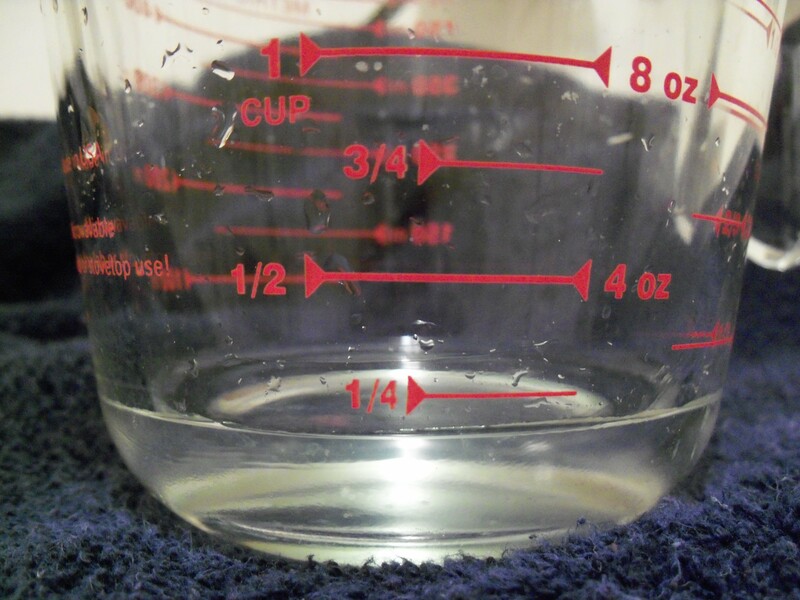 Imagine this over a week: 1.75 cups, and over a month(~30 days): 7.5 cups, and over a year (365 days): 91.25 cups. With 16 cups equalling a gallon that translates to 5.7 gallons in a year going directly down the drain. And this was an extremely slow drip on just one faucet! I called the maintenance guy and had him come fix it. 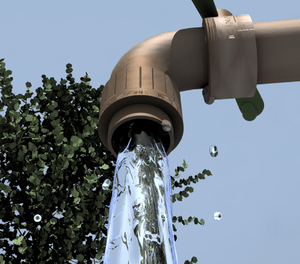 Just think of your leaky faucet, how much is going down the drain? If you have a drippy faucet I’d get it fixed, so much good drinking water right down the drain, and you can have fun testing out how much goes down, not to mention your can relieve your impending insanity by removing that maddening noise from your home! Lentil Soup; throw it together as a last minute dinner and voila! Burgers, Fries, Hot Dogs One Dollar!!! Jump to a specific post theme here….